What a strange thing to be so true. God the Father sent the Son into the world to be Light for us all. 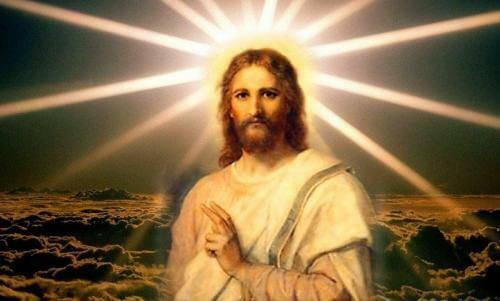 He is the Light that dispels all darkness. But, according to the Gospel above, “people preferred darkness to light.” They preferred their own sins to freedom from sin. Why is that? As an example of this reality, all we have to do is watch the news or read the newspaper. It seems that 90% of what is reported in the news media is a sensationalistic presentation of darkness. We hear of one murder after another or one scandal after another. Why does the media focus upon this so much? Because it’s what sells. And why does it sell? Because we too often are drawn to darkness more than we are to light. Certainly that is not the case for everyone. So many are quite disinterested in the darkness of the world and the sensationalistic sins all around us. But the fact that the darkness of evil is so front and center all the time should offer us a certain warning about our fallen human nature. We tend to be drawn into mud and too often are all too happy there. Easter is a time to examine what it is you are drawn to. Do you let yourself be drawn into the Light? Are you attracted by those things that brighten your day? Are you drawn to the many ways that God is present and active in the world all around you? Hopefully you are. But there is most likely some degree of pull toward disorder, sin and darkness. There can be an interior conflict that everyone experiences. It’s good to be aware of this, to identify it as part of our fallen human tendency, and to seek to shed all interest in the chaos and evil all around us. As a follower of Christ, we are called to keep our eyes on Him and on Him alone. We are called to penetrate the darkness with our faith and to let our whole being be attracted to and drawn toward Christ Jesus. Perfection means that even our passions and desires are ultimately drawn to Christ as the Light of our life. Reflect, today, upon that which you are drawn toward the most. Commit yourself to the Light this Easter Season. Move your eyes from the temptation to become drawn in and fascinated by the evil around us, to the joyful vision of our Resurrected Lord alive and at work all around us. Let this Light guide your daily life. Lord, help me to live in the light. Help me to keep my eyes firmly focused upon the glory of Your Resurrection. May the joy of that gaze keep me from the countless distractions of evil all around me. Jesus, I trust in You.